Serums, Lotions, Oils: Oh my! I’m all about multi-tasking, and my current obsession on the beauty stage are products that multi-task with me! I’ve been scouring the stores for cruelty-free products that combine the powers of the moisturizer, serum, and primer and have come up with the three you need to try ASAP! Either way, I’ve finally accepted the myth that oily skin should be treated with oil. My first double-duty product comes in the form of Derma E’s Hydrating Oil Treatment. 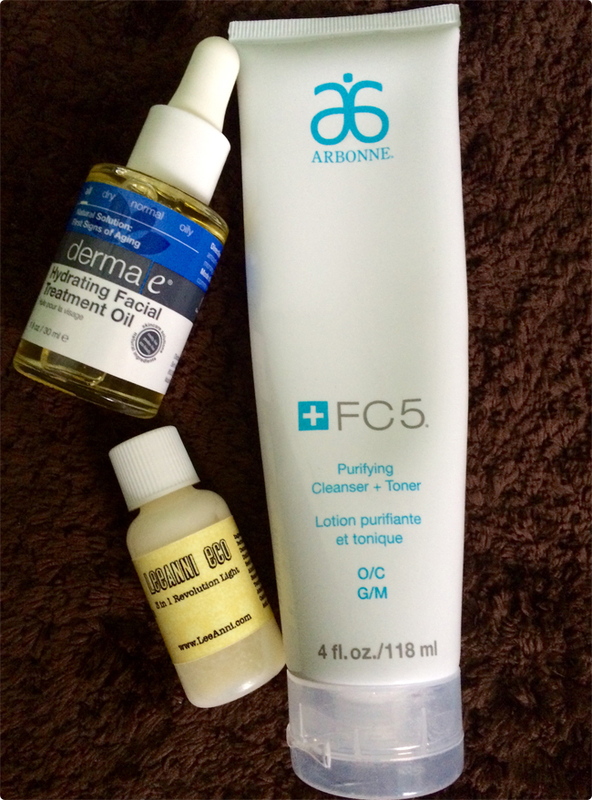 I love Derma E because it is natural and cruelty-free, but I also love how light it feels on my skin. This oil treatment contains Argan and other natural oils that are gentle. I use this before bed (and actually used this as a partial primer for my bridal makeup…best choice ever!) The packaging and the applicator is easy to use, too. Two to three drops cover my whole face. Besides treating myself to some luxury, I also love using a toner. This i a new development for me (about two years or so) and toner has become one of my favorite products. 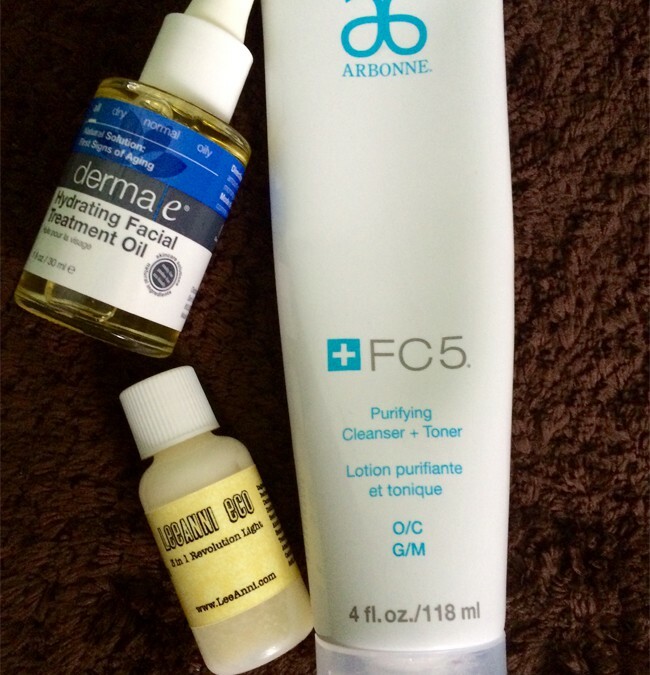 Arbonne’s FC5 Purifying Cleanser and Toner is made with strawberry DNA. How cool is that? It’s gentle and it cleanses and tones all at once. The formula is clear and light. I usually use this in the morning to wake my face up for the day. Last, but definitely not least, is my newest find. The Leanni Eco 3-in-1 Revolution has changed my makeup routine. I love this moisturizer that also inclides a serum and toner. Hazel, rosehip, and meadowfoam botonicals pamper skin while giving your makeup a smooth canvas. If you haven’t tried a multi-tasking product, any of these beauties make a great starting point. Great write-up! So much oil love on the site lately. I’d never heard of the Leanni Eco or the Derma E. I personally have oily skin and live for the Josie Maran Argan Oil, among others!